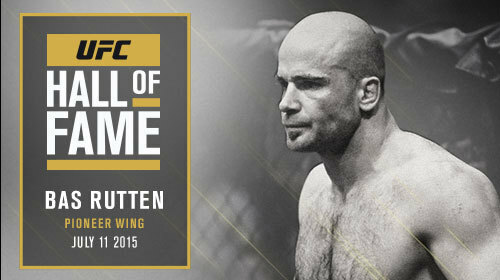 Hall of Fame Induction: Bas Rutten Jul 11, 2016 (25:17) In July of 2015, Bas Rutten was inducted into the Pioneer Wing of the UFC Hall of Fame. Watch his induction speech here. Bas Rutten vs. Ryushi Yanagisawa Pancrase: Yes, We Are Hybrid Wrestlers 1 Sep 21, 1993 (4:03) Dutch kickboxer Bas Rutten took on Japanese striker Ryushi Yanagisawa at the original Pancrase event. Taking place two months before UFC 1, using hybrid rules that prohibited closed-fist strikes to the face, there was a real sense of the unknown at the opening bell. Rutten won inside a minute via a shocking palm-strike. Yanagisawa was hospitalized for two days, and Rutten’s career-long reputation as a terrifying striker was forged. Bas Rutten vs. Frank Shamrock Pancrase: 1995 Neo-Blood Tournament Second Round Jul 23, 1995 (18:48) Anxious to earn a second shot at the King of Pancrase championship, Bas Rutten took on Frank Shamrock at Pancrase 1995: Neo-Blood Tournament. 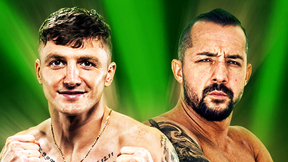 It was a rematch from the previous year, when future UFC light heavyweight champion Shamrock had taken a split decision from Rutten. 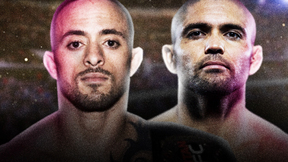 The Dutchman went into this fight determined to get revenge and earn himself a title shot. Bas Rutten vs. Minoru Suzuki Pancrase: 1995 Anniversary Show Sep 1, 1995 (23:15) Now a fully-rounded fighter who was as dangerous with submissions as he was strikes, Bas Rutten challenged Minoru Suzuki for the King of Pancrase title. Japanese hero Suzuki also had a lot on the line – he was desperate to avenge his first professional loss to Rutten. The result was a classic encounter. 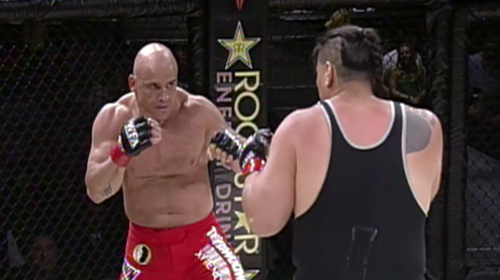 Bas Rutten vs. Frank Shamrock Pancrase: Truth 5 May 16, 1996 (18:51) Both of them now legendary figures in the Japanese Pancrase promotion, Bas Rutten and Frank Shamrock – each future UFC champions – collided for the third and final time at Pancrase: Truth 5. 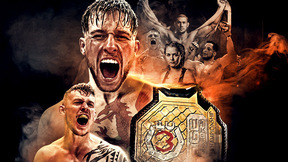 The previous two encounters had been extremely close on the scorecards but only one man would win the trilogy and be crowned the undisputed King of Pancrase. Bas Rutten vs Masakatsu Funaki Pancrase: 1996 Anniversary Show Sep 7, 1996 (24:08) Although now an established King of Pancrase champion, Bas Rutten felt he owed it to himself and his fans to avenge his first professional lost – and at the Pancrase 1996 Anniversary Show the Dutchman defended his title vs Masakatsu Funaki. Funaki was not only one of the greatest Pancrase fighters of all time, but actually helped found the promotion. A lot of bragging rights were on the line. Bas Rutten vs Tsuyoshi Kohsaka UFC 18 Jan 8, 1999 (24:16) Arguably the most prolific fighter in the Japanese MMA organization Pancrase’s history, Bas “El Guapo” Rutten made his Octagon debut in a main event heavyweight bout against Tsuyoshi Kosaka, who was coming off a huge UFC win over Pete Williams. Bas Rutten vs Kevin Randleman UFC 20 May 7, 1999 (43:53) Bas Rutten took on Kevin Randleman at UFC 20 for the UFC Heavyweight Championship belt.